Theme parks utilize a variety of electrical, and instrumentation, control cabinets. These control cabinets can be both indoors and out, located in very challenging locations. Many control cabinets require cooling with seals that are water tight from rain, water spray, or other airborne debris. 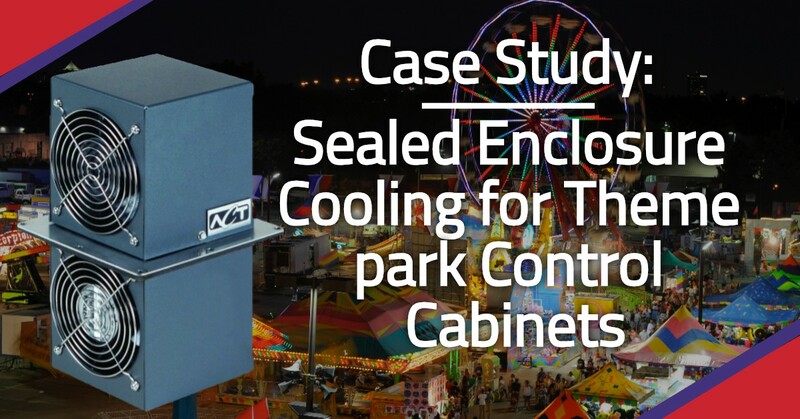 Some are placed in high corrosion areas such as waterpark rides, where highly chlorinated water quickly eats away at steel and aluminum enclosures. Challenging environments such as these require NEMA 4X cooling solutions and enclosures.